ISRAELIS SAY: "IN HAIFA PEOPLE WORK, IN JERUSALEM THEY PRAY AND IN TEL AVIV THEY PARTY". TEL AVIV IS PROBABLY A GOOD PLACE TO DO A BAR GUIDE THEN. The coastal city has long had a reputation for hedonism but just recently it has started to mature. Popping up all over the city are cocktail bars – the good sort - that cater for the young and adventurous, expats and tourists. It’s early days but here are five from Tel Aviv, starting with the forefather Bar 223. Then we take an hour’s drive out to Jerusalem to see whether there’s some drinking, in among all that praying. Cocktails in Tel Aviv make no sense without Bar 223. In the six years that it’s been open, it has schooled many of the city’s best bartenders. In fact, one of the joint founders Ariel Leizgold (the other being Aviran Avidan) has since opened Bellboy and has a share in Spicehaus. Imperial Craft co-owner Bar Shira used to manage the place. Style-wise, think Employees Only without the chicken soup. It has an American feel, with a long bar and stools facing smiling bartenders, not least head bartender Omer Gazit-Shalev. Patrons are arranged over two floors, connected by a chandelier that drills through the floor, hanging from top to bottom. 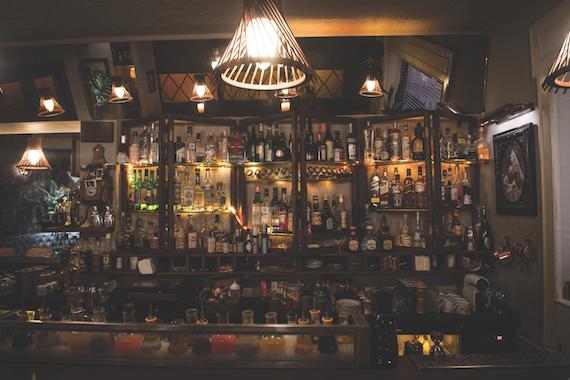 Swing is on the record player and classics are on the menu – this was the first bar to eschew the spirit and mixers and do things properly in Tel Aviv. Pioneer bars are often eventually surpassed but without the steps they took way back when and the foundations they laid, Tel Aviv’s flowering of cocktail interest in the past 18 months may not have happened at all. Standing on a nondescript street corner under the red neon glow of the generically named Imperial Hotel, you could be just about anywhere in the world. Of course you are in Tel Aviv, and the angular post-war block before you, is actually the new headquarters of the Middle East’s cocktail capital. You wouldn’t know it, passing through the motel-esque foyer, complete with overweight, yawning male receptionist. But tucked into one side of the expanse is a room within a room, completely at odds with its surroundings. This is Imperial Craft. The first few seconds are the most important of any bar visit. At Imperial Craft, it comes in the form of an opened door and a wide smile. Safely ensconced, the hostess leads you to your seats, either the high tables that wrap around the floor or the stools that dot the L-shaped bar. Wherever you are, it’s an intimate affair. 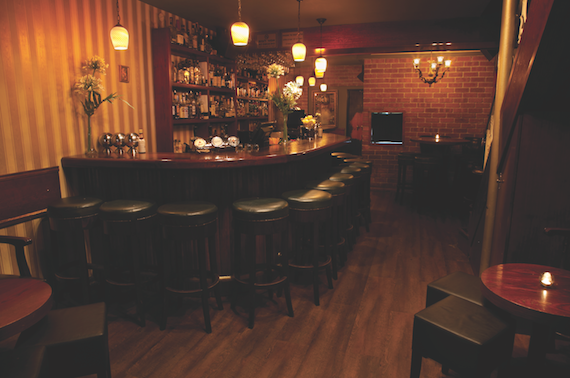 Owners Bar Shira, Dror Alterovich and Gilad Livnat need never work again – as bartenders anyway. Their bartenders work the room as if they’ve been at it for years – at least for longer than the two years it has been open. Imperial Craft is probably proving the best drinking experience available in Israel today. When the doors first opened, there was more reverence to the classics but as the customer base has developed (they’re busy every night from 6pm until late) so have tastes. The offering now is taking Tel Aviv into unchartered cocktail waters. And word of this colonially-steeped outpost of discerning drinking is spreading. Globally.